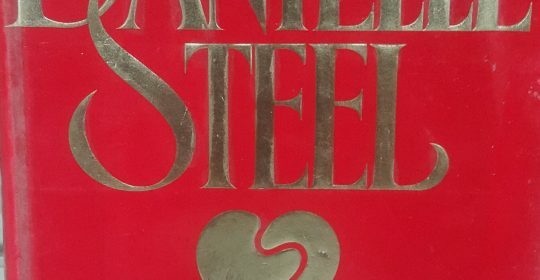 In her twenty-seventh best-selling novel, Daniella Steel tells the poignant story of a man and women meeting the unforeseen challenges of love in our time. Bill Thigpen had his finger on the heart-beat of American as writer and producer of the No.1 daytime drama, A Life Worth Living. But he was so busy watching his career soar that he never noticed his marriage collapse-until it was too late. Now, nine years later, living alone in Hollywood, life is still reasonably sweet. Top-of-the-chart ratings, good-nature casual affairs, and special vacations with his two young sons are all he wants out of life. His life is in perfect balance. Adrian Townsend though she had everything: a job she liked as production assistant for a network TV news show…a handsome husband she loved, who was a rising star in his own field. It was an enviable life they’d worked hard for-the American Dream. Until she got pregnant. Suddenly ultimatum: Him or the baby. The question was; did he mean it? Bill Thigpen and Adrian Townsend collided in the supermarket at midnight. And the very sight of her suddenly made him want more in his life…. A woman he really loved, a real family again. But did he need the heartache of another man’s baby, another man’s wife? Neither of them did. But they couldn’t help them-selves. Irrevocably drawn to each other, pulled into the whirlpool of real life, they live, they survive. And they will make you laugh and cry with them. Danielle Steel touches the HEARTBEAT of two wonderful people as their friendship deepens into love, as they meet the obstacles that life presents and face the future together with humor, humanity, and courage .